Use is the biggest trend with garages nowadays. The garage has been a hugely overlooked space until recent years. Finally, “the light bulb has gone on” and we are putting the garage space to great use. The garage’s primary purpose is no longer simply to park the car, house the lawnmower and store the sporting equipment. While those still remain as the primary function there are tons of fun uses and we can play with color, textures and organizational pieces. Space is at a premium, we have to be and have successfully become creative and savvy with the use of space in our home, especially the garage. An epoxy floor coating offers a clean, attractive and contemporary finish. There are many colors and textures to choose from, is cost effective and low maintenance. Color is trending right now. We are becoming more daring, flexible and bold with the color choices in our garage from paint to cabinets to the flooring. Gone are the days where a garage has to be drab and dreary. 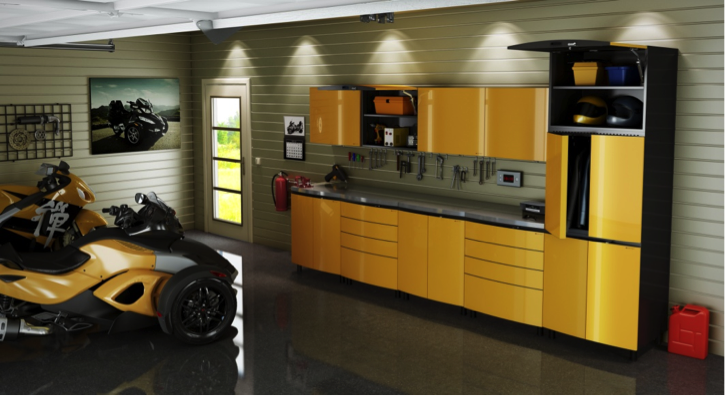 Garages are becoming fully functional, stylish parts of our homes. Organization is also trending. As mentioned, space is at a premium, we have gotten clever is utilizing our space and keeping it more organized and effective. Time is at a premium with hectic schedules-no one has time to waste searching for an item. 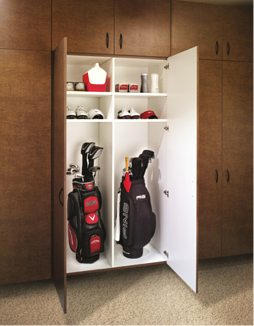 Garage cabinets offer a sleek, clean, modern and attractive way to store items. Available in many colors and styles, there is something for everyone. Click on the link to see the various cabinet styles. Overall, it's amazing what a nice garage floor coating or organization system can do for your home. 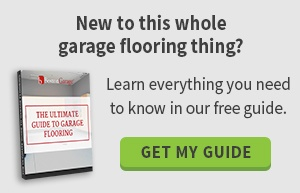 We would be happy to give you a free on site design consultation and show you how the epoxy floor coating will make a huge improvement in your garage and provide a safe, clean, aesthetically pleasing space. With so many color choices and styles, cabinets offer a trendy way to organize your belongings and add a pop of color!